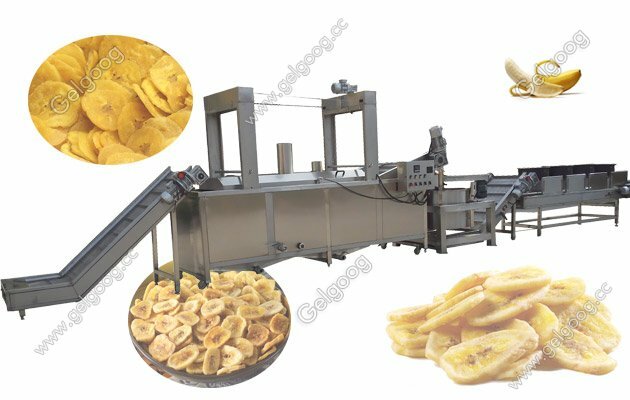 This banana chips production line is used to process green banana to be banana chips with good shape,high working efficiency, easy to operate. 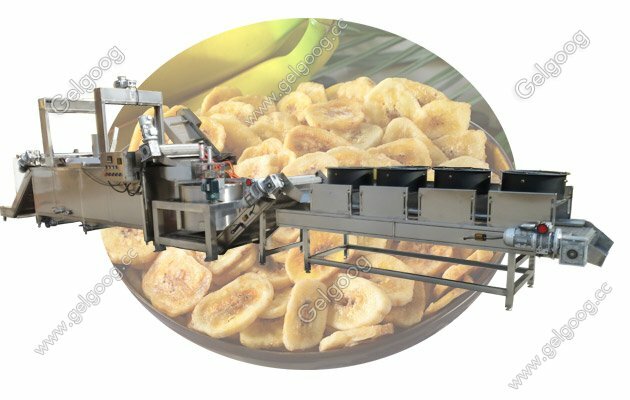 Automatic Banana|Plantain Chips Production Line For Sale This plantain chips production line is used to process green banana to be banana chips. 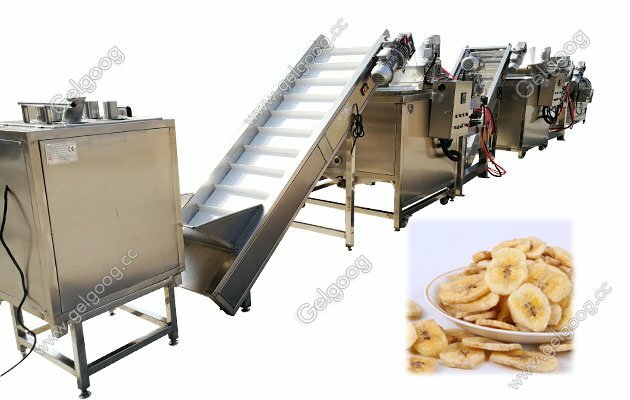 This banana chips production line is with high working efficiency, easy to operate.General, 3 kilogram of fresh banana can get 1kg of finished banana chips. How to make plaintain chips for sale? This banana chips cutting machine is mainly used to cut banana to be slice. It is made of Stainless Steel. The cutting slice are uniform. For this kind of Banana Chips Frying Machine, it is with electric heating type. It also can be made to be gas heating according to clients’ requirement. . It will need to add the burner and the gas pipe in side of machine. It is with automatic feeding and automatic discharge system. It is with automatic feeding and automatic discharge system. The material will discharged from the bottom of this machine. It is with slant structure, thus the banana chips will coming out from the other side.The plantain chips machine for sale also with one motor to control the amount of the seasoning. We Gelgoog are producing and supplying a wide range of automatic potato and banana chip production lines. Due to its excellent performance, excellent performance, durability and low maintenance performance, our products are well received by our existing customers. All products are made of high quality raw materials and advanced technology and manufactured according to quality standards. In addition, we offer a medium priced automatic potato and plantain chips production machine. We provide plantain chips production line turnkey project implementation and complete technical support, process knowledge and training. Standard capacity (kg/hr) : -100,200,300,500,750. The capacity depends on the product, slice thickness, frying parameters, etc. 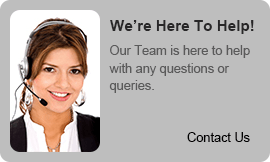 We can provide you with all suitable solutions according to customers' specific requirements. The plantain chips machine suitable for low cost and continuous production of banana/potato/cassava/cassava chips. The plantian chips making machine can also be used to make many other floating snacks with high moisture content in the ingredients.